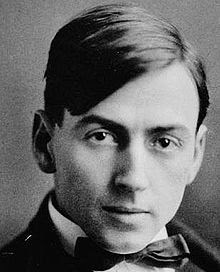 He (Tom Thomson) was an intense, wry and gentle artist with a canny sensibility, one of the first painters to give acute visual form to the Canadian landscape as he discovered it in Algonquin Park, a section of northern Ontario that had been set aside as a conservation area in 1893." To most people Thomson’s country was a monotonous dreary waste, yet out of one little stretch he found riches undreamed of. Not knowing all the conventional definitions of beauty, he found it all beautiful: muskeg, burnt and drowned land, log chutes, beaver dams, creeks, wild rivers and placid lakes, wild flowers, northern lights, the flight of wild geese and the changing seasons from spring to summer to autumn. How Thomson died, who found his body, its condition, and even its final resting place all remain mysteries. Some propose the cause of Thomson’s death was an accident resulting from plain bad luck, while others suggest suicide, and still others point to foul play resulting from a conflict over debt, a love interest, or opinions about the war effort. To add even more mystery to the affair there are serious questions regarding whether Thomson’s body was moved from its first resting place. One hundred years ago today, Tom Thomson, one of the most influential Canadian artists of the early 20th century, went missing. A century has passed since the day he disappeared during a fishing trip on Canoe Lake in Ontario's Algonquin Park. Within hours of Thomson's departure, on July 8, 1917, his overturned canoe was spotted in the middle of the lake, not far from the dock from which he had departed. Eight days later, the 39-year-old's badly decomposed remains were discovered. 17 strands of copper fishing line were wrapped around his legs and there was a huge gash on the left side of his head. On July 17, 1917, Thomson's death was officially ruled an accidental drowning by Mark Robinson, the Park Ranger who examined his body before burial at Canoe Lake. Yet, Thomson's death is still shrouded in mystery. Was it really accident? Was it a suicide? Was foul play involved? Thomas John Thomson was born in the town of Clarenmont, Ontario (in Pickering Township) on August 5, 1877. The sixth of ten children born to John Thomson and Maragaret Matheson, Tom was raised on a farm in Leith, Ontario, near Owen Sound on Georgian Bay. He spent his childhood fishing and hunting in the woods. He also participated in the family's traditional and cultural pursuits such as singing in the Leith Presbyterian church choir, playing the mandolin, reading poetry and sketching. Tom was educated locally, although poor health kept him from attending school for a time. According to the Dictionary of Canadian Biography, his illness was described as "weak lungs" or "inflammatory rheumatism." It is not known whether he completed high school. In 1899, however, he tried to enlist for service in the Boer War, but was rejected three times for health reasons. His sister stated that the rejection was due to fallen arches. That same year, he was apprenticed as a machinist in Owen Sound, but returned home after eight months. He then enrolled in the Canadian Business College in Chatham, Ontario. In the summer of 1901, Tom followed his older brother, George, to Seattle, Washington, where George and a cousin had started a vocational school which eventually became Acme Business College, After some training at Acme, Tom landed his first job as a commercial artist. He was employed as an engraver for a short time by Maring & Ladd (later known as Maring & Blake), a firm headed by C.C. Maring, a graduate of Chatham Business College. In 1903, he was hired away by the Seattle Engraving Company, at an increase of $10 a month. Thomsonn may have remained in Seattle and pursued a career there, had not circumstances in his personal life intervened. According to The Canadian Encyclopedia, an incident occurred involving Alice Elinor Lambert (1886-1981), an American romance novelist to whom Tom proposed marriage. At the crucial moment, Alice giggled nervously, upsetting the sensitive young man and causing him to abandon his matrimonial plans. (In 1912, Lambert married Joseph Ransburg and they had two daughters. She later moved to San Francisco and served as an advice columnist for the San Francisco Examiner for a time. She died in Marysville, Washington in 1981 at the age of 95). Tom returned to Ontario and in 1905 worked as a senior artist and engraver at Legg Brothers Photoengraving Company in Toronto. He also attended night classes at the School of Art and Design, where he studied drawing. By 1908, he was employed at a commercial art firm called Grip Ltd. This Toronto design company employed many of Canada's major artists at the time and it was where the famed Group of Seven met for the first time. J.E.H. Macdonald had become the head designer in 1906 and Thomson and Frank Johnston worked as designers under him. 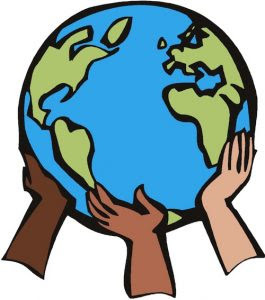 In 1911, Franklin Carmaichael found employment as an office boy there and Arthur Lisner and Fred Varley later came from England to work for Grip. Yet, despite Tom Thomson's strong association with the Group of Seven, he is not considered one of the seven. Under J.E.H Macdonald's tutelage, Tom's talent really began to bloom. He showed his sketches to Macdonald and others at the company and received rave reviews from A.H. Robson, the firms's art director and a member of the Toronto Art Students' League. Robson, Macdonld and others were impressed with how true to nature Thomson's work was. In May of 1912, Tom Thomson and fellow artist H.B. "Ben" Jackson spent two weeks in Algonquin Park, which was well known for its fishing and forests, and easily accessible by train. The two men explored the Tea Lake and Canoe Lake area of the park. During August and September of 1912, Tom went on an extended canoe trip further north, to the Mississauga Forest Reserve in the Algoma District. When he returned, his colleagues at Grip praised his sketches as an expression of the character of the northern landscape. Thomson's first significant painting was A Northern Lake (1913). It was created from one of the sketches he'd done on his trip to Algonquin Park. In the autumn of 1914, Tom returned to the park with his friends A.Y. Jackson, Arthur Lismer and Frederick Varley. In the winter of 1914-1915, Tom shared space in the Studio Building in Toronto. He occupied Studio One with A.Y. Jackson and later with Frank Carmichael. After their departure, he moved to a shack that was appended to the building. There he painted on large canvasses and entertained friends. In November of 1915, while on his way back to Toronto, Tom stopped in Owen Sound to visit his sister, Minnie Harkness. During the visit, according to the Dictionary of Canadian Biography, he discussed his intention to enlist for service in the First World War but thought he might not be accepted. Although Thomson despised the war, which he called "the machine," he was determined to serve in the conflict. As it turned out, he was rejected for reasons not fully known, although his family suggested it was due to foot problems (a toe broken as a youngster and faulty arches). By 1915, Tom Thomson was producing beautiful oil paint sketches and his technique of landscape painting was evolving and developing. He was also living in Algonquin Park for most of the year, spending only winters in Toronto. It was in the park that he met his untimely demise. 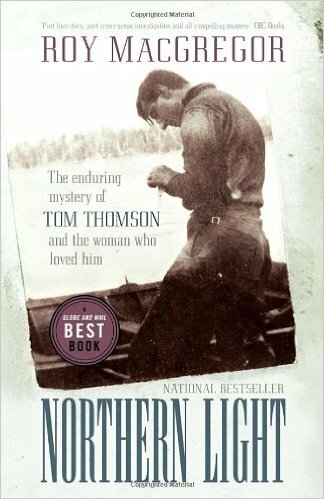 Author Roy MacGregor has delved into the mystery surrounding Tom Thomson's death in his book Northern Light: The Enduring Mystery of Tom Thomson and the Woman Who Loved Him. In this book, and in a 1977 article in the Toronto Star, MacGregor suggests that Tom was murdered by J. Shannon Fraser, the postmaster and proprietor at Mowat Lodge on Canoe Lake and that Fraser's wife revealed the murder to a friend. Who was J. Shannon Fraser and what motive could he have had for killing Tom Thomson? Well, J. Shannon Fraser was born in Harrowsmith, Ontario in 1883. His father, Skyler, was a labourer and his mother, Annie (Ferguson) was a weaver. The family left Harrowsmith and settled on Earl Street in Kingsston, Ontario. In 1903, Shannon married Annie Stewart from Westbrook, Ontario and the couple had a daughter named Mildred. After living on Lower Bagot Street in Kingston, Fraser and his wife and daughter moved to Canoe Lake, where Fraser owned and managed Mowat Lodge while Annie served as manger and cooked for the guests. It was there that that the Frasers became acquainted with the artist Tom Thomson. From 1915 to 1917, when he was considered to be at the height of his creativity, Tom frequently stayed at the Lodge, when he was not camping. According to Nancy Lang, who spent years researching Thomson's life for a documentary entitled West Wind: The Vision of Tom Thomson, "Tom would help Shannon with chores around the lodge to help pay for his room and board, so he would help put in a garden and more." In 2011, nine students from St. Clair School in Kingston, Ontario participated in a project in which they investigated Tom Thomson's mysterious death. The project was titled "Searching for Tom." and it earned them a gold medal at the Kingston Regional Heritage Fair. The students did extensive research at the Queens University archives and reached the conclusion that Ton Thomson was most likely a victim of manslaughter. After uncovering more information about J. Shannon Fraser, they came to believe that he was responsible for Thomson's death. Why did the students suspect foul play and why they implicate Shannon Fraser? Well, they found evidence that the night before Tom died, he and Fraser argued over a debt Fraser owed the artist. 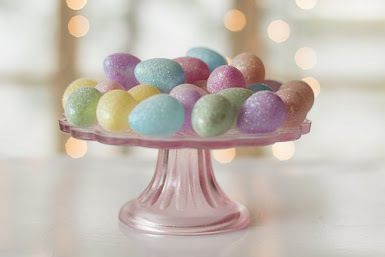 They also thought that Fraser may have been encouraged by the father of a woman named Winnie Trainer from Huntsville, Ontario, who some think was carrying a child by Tom. Winnie's father may have been trying to persuade Thomson not to leave his pregnant daughter as Tom was apparently making plans to go out west to paint in the Rocky Mountains. The students based their theory on a confession that Fraser's wife, Annie, allegedly made to a friend named Daphne Crombie. Annie reportedly told her friend that she and Shannon dragged Thomson's body to the lake. The students quoted the words of Daphne Crombie in an interview she gave to Algonquin historian Ronald Pittaway over 60 years later. On January 4, 1977, Crombie told Pittaway that "she (Annie Fraser) never told me lies, ever." The students' research prompted a letter to their principal, Mark Millan, from author Roy MacGregor. MacGregor noted that the students' findings provided fresh information and that they 'represented original research important to the Shannon Fraser file." There are still other explanations regarding Tom Thomson's demise. Another theory is that he was murdered by Martin Blecher Jr., a regular summer resident of Algonquin Park. Blecher was known to envy Thomson's relationship with Winnie Trainer and may have killed him out of jealousy. Although no suicide note has ever been discovered, some have surmised that Thomson took his own life. Tom was known to have been shy and sensitive and he was said have had bouts of melancholia or depression. In 1972, an article entitled "Reflections on The Passing of Tom Thomson" was published in Canadian Camping Magazine. The piece was written by 82-year-old Charles F. Plewman, who had stayed at the Lodge and was a pallbearer at Thomson's funeral. Plewman stated that he wished to shed some light on the subject of Tom's death, particularly since "as time goes on, myths increase." In the excerpt below, Plewman details the stress and pressure that Tom was experiencing at the time. After the funeral, Shannon Fraser who operated Mowat Lodge where Tom had stayed, and who was more intimate with Tom than anyone else, confided in me what he felt had actually happened. 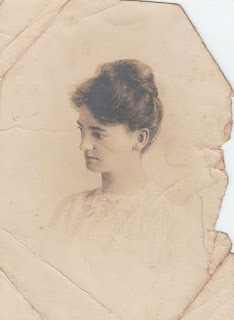 Tom Thomson […] was engaged to marry Miss Trainor. She was pressing him to go through with the marriage. He intimated that she was coming up to see Tom to have a showdown on the fatal week. He mentioned that Tom was a shy and sensitive person and that he felt he just could not face the music. The impression Shannon left me with was that somehow Tom had come to the conclusion that a settled, married life was not for him, but that he just could not say so to Miss Trainor. Recalling Tom’s previous statements of not to worry if he didn’t return on time, Shannon said that had made him feel that Tom had contemplated doing something on earlier occasions but had not mustered sufficient courage to go through with this intention. Charles Plewman also had something to say about the discovery of Thomson's remains and the possibility of foul play. He wrote that Mark Robinson, the Park Ranger, seemed to be in charge of the proceedings and that Robinson refused to allow Winnie Trainor to see the body. When the body was found Miss Winnie Trainor, Tom’s girl friend from Huntsville, whose parents had a cottage on Canoe Lake in front of the Lodge, appeared on the scene and demanded the right to see the remains, saying that there must have been foul play as she was certain that Tom didn’t drown by accident in a small lake like Canoe Lake. This, Mark Robinson stoutly refused to grant. (The body had been in the lake about eight days and was not very presentable). Tom Thomson had been dead for one hundred years now and, through the years, more information has come to light concerning his demise. Some of the evidence, however, is confusing and conflicting. A century later, questions still linger regarding the artist's untimely death. Nevertheless, Thomson bequeathed a wonderful legacy to Canadians. His masterpieces, such as The West Wind and The Jack Pine are a reflection of this country and its magnificent landscape.